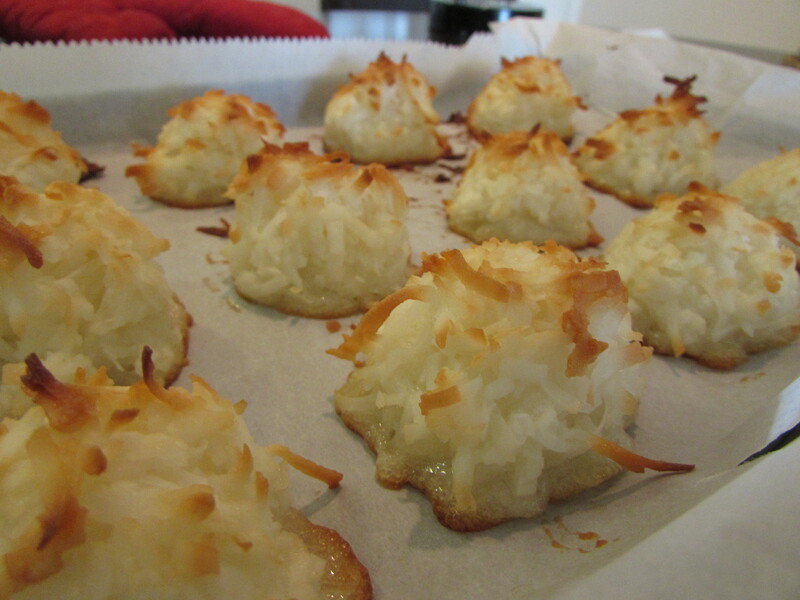 Today I’ll present you with an awesome macaroon recipe. Now, don’t get me wrong. I didn’t spell Macarons wrongly. These are Macaroons (two O’s). Many people often get confused between the two and I will be publishing a post soon to differentiate the two. If you’ve been following my blog, you’d know that me not having an oven has proven to be a huge problem. However, one of my lovely NUS friends, Joanna, whipped these up. While not made by me, I can guarantee the quality of these lovely bite sized treats. 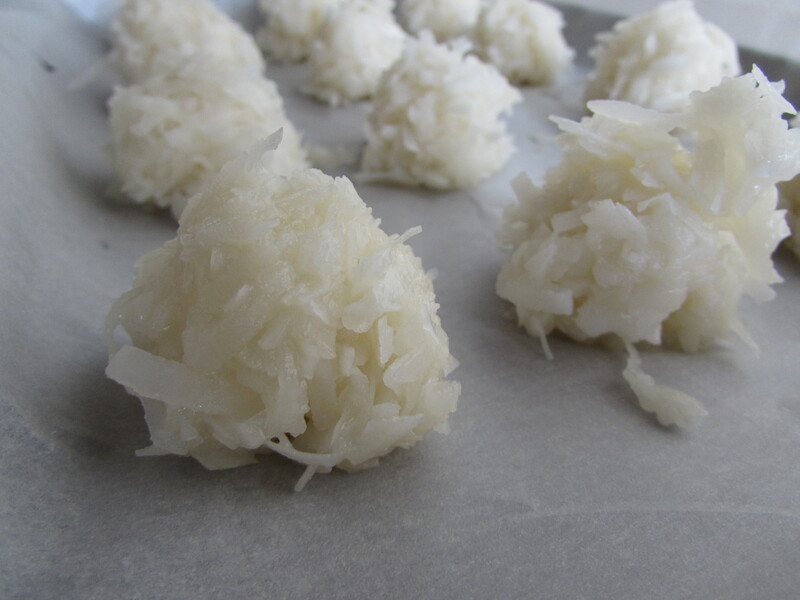 Joanna did the bake sale with me in December & from the pictures she has provided, it is no doubt that these coconut delights will melt in your mouth but yet, maintain a good crisp texture. Sounds something like a macaron but also, not quite. Unlike it’s ‘close sibling’, the macaroon hasn’t really been discussed or tried out as extensively over the food network online. A key controversy would be whether the colour should be snowy white or totally golden brown. Joanna kept hers somewhere in between, which can only leave me to imagine how delectable they must have been. Preheat the oven to 350°F. Place an oven rack in the bottom third of the oven and preheat to 350°F. Gather all your ingredients and equipment. 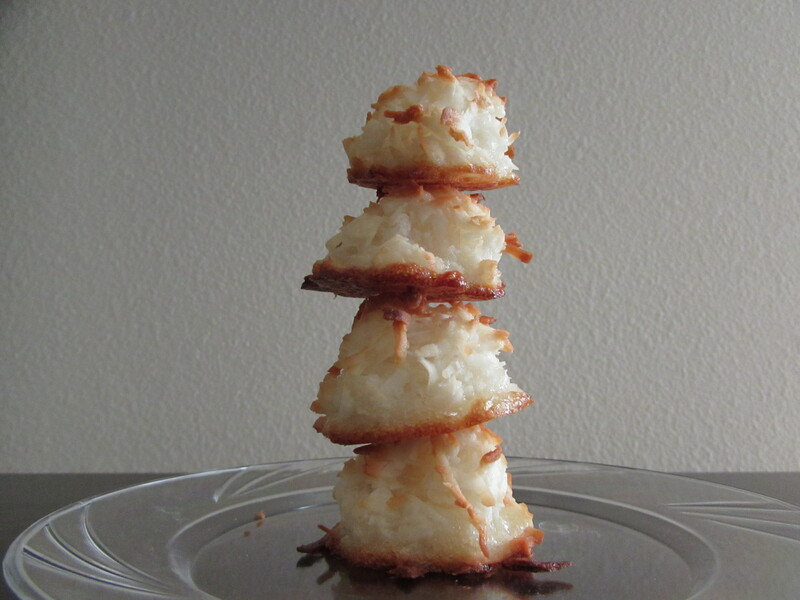 Toast the coconut (optional – if you want browner macaroons, you have to include this step). For deeper coconut flavor and extra-crispy macaroons, spread the coconut on the baking sheet and toast for about 5 minutes, or until just barely starting to show some color. Let cool slightly before using. 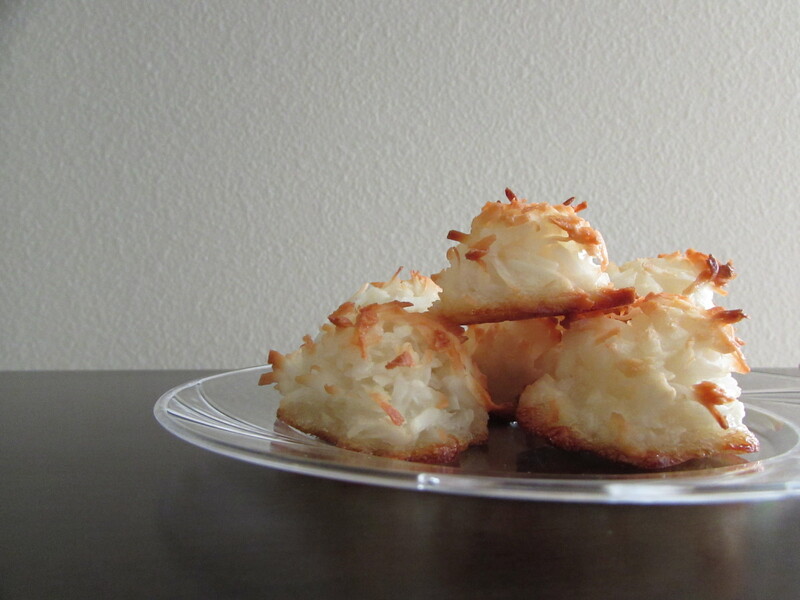 For crispier, lighter macaroons, increase the amount of coconut to 5 cups. For meringue-like macaroons, whisk the egg whites in a standing mixer until they hold soft peaks, then gradually add the sugar until it holds stiff peaks. 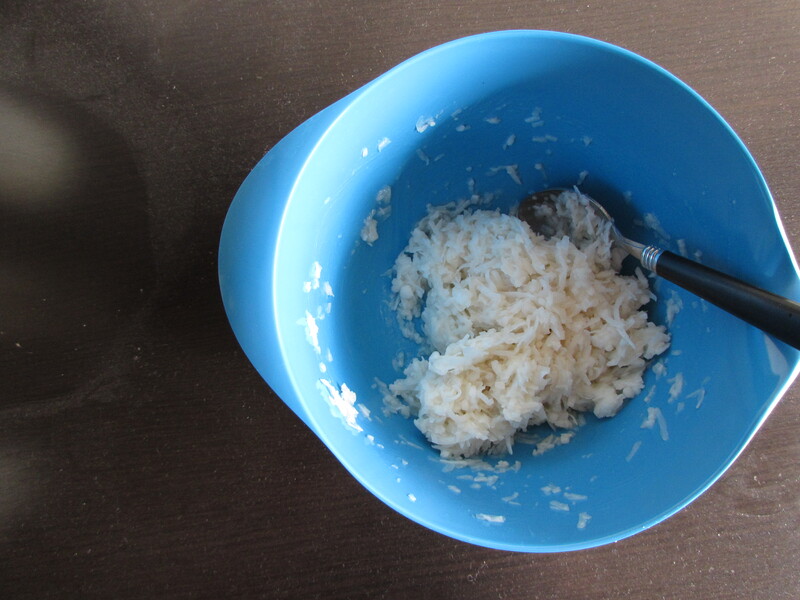 Whisk in the vanilla and salt, then fold in the shredded coconut by hand. 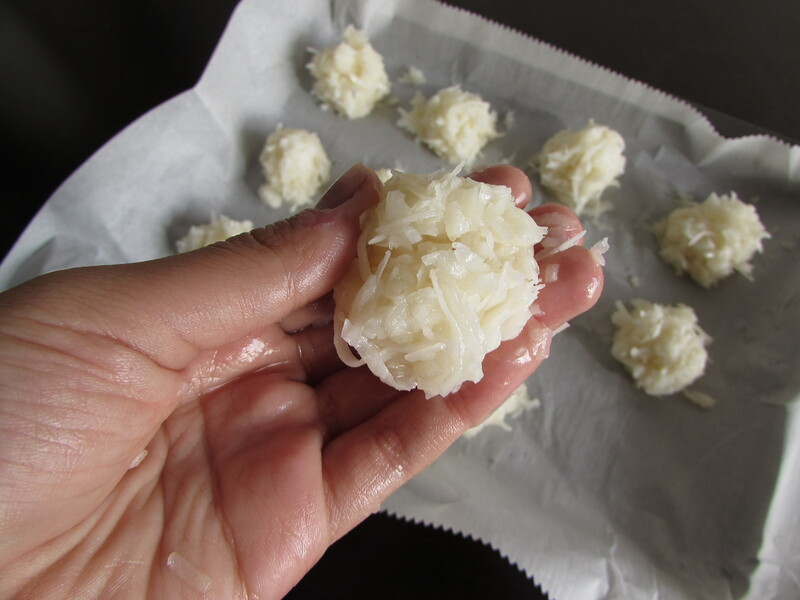 For larger or smaller macaroons, keep the recipe as is, but adjust the baking time to match (longer for big macaroons; shorter for small macaroons). 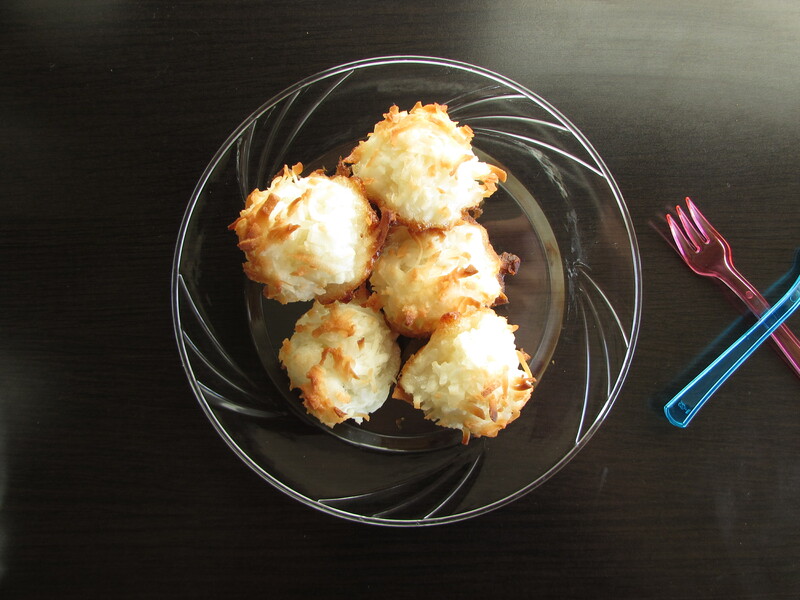 Coconut Macaroon Variations: dip or drizzle the baked macaroons with melted chocolate, wrap the coconut mixture around a whole almond (or a whole almond and a piece of chocolate! 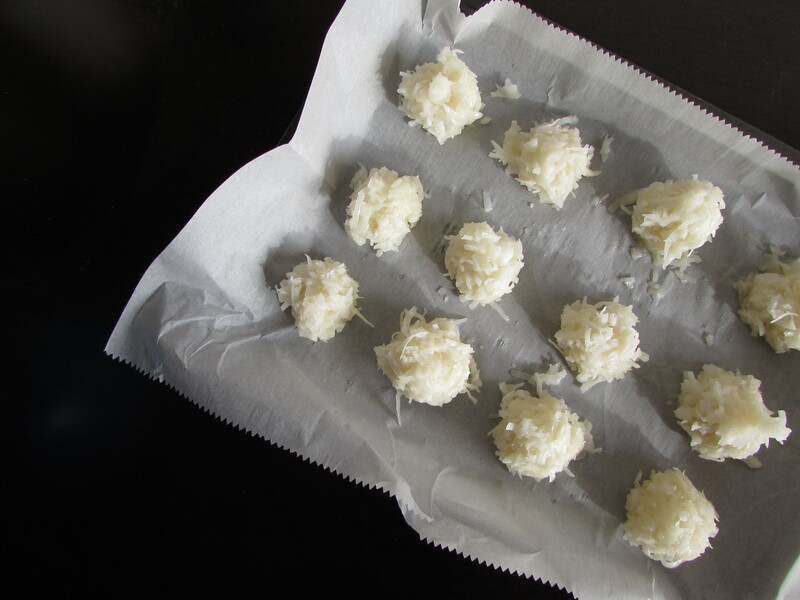 ), fold up to 1 cup chopped dried fruit into the coconut mixture. theKitchn has really good stuff and that’s another reason why I’m willing to post this recipe on my blog without even having tried it before. Also, from the method and ingredients that go in, I’m pretty sure you can see how the two, macarons & macaroons differ. Do have a bake this week. These treats are easy and lovely and a perfect stress reliever in this exam period.